Tonight is a very special [RIP] Vs The World. 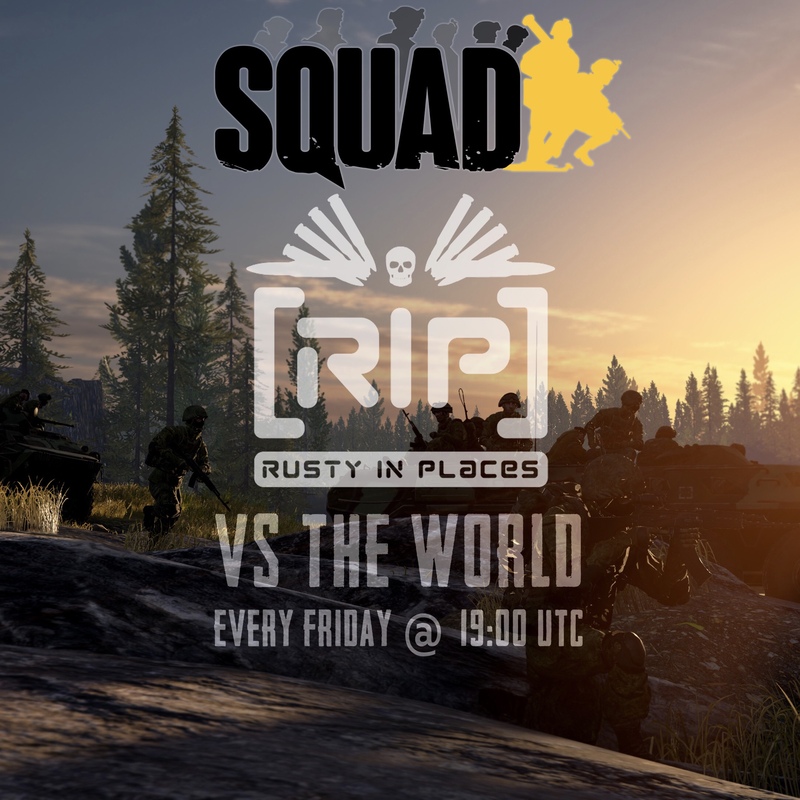 On Tuesday evening we heard the news that one of the Clan Founders for [RIP] Rusty In Places, Gunner passed away after his long battle with cancer. In order to celebrate the life and memories of a truely great man, come join us on our public servers and have a chat with some of the guys who played alongside him and knew him best in our TeamSpeak. ”He was the gel that brought the Clan Founders together whilst we ran the European sde of another clan and brought us this great community that we still have to this day. Many a great memories from nights gaming, getting pissed whilst gaming, chatting whilst getting pissed, meeting up at the many different RIPping weekends over the years. There is so much that could be said but I think the best way is..
We hope you can join us for a game or two and remember him by raising a glass in his honour. That’s right It’s Friday! It’s [RIP] Vs the World and we’re on v11! 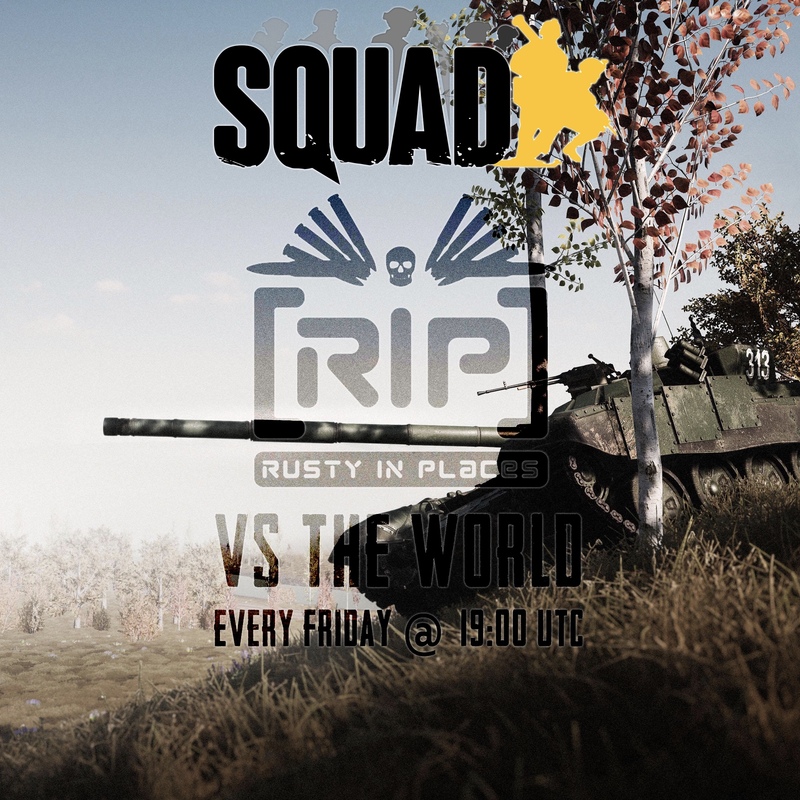 Come join in on both our public servers after 19:00bst for some of the most intense battles, immersive action and competitive teamwork in Squad public servers. 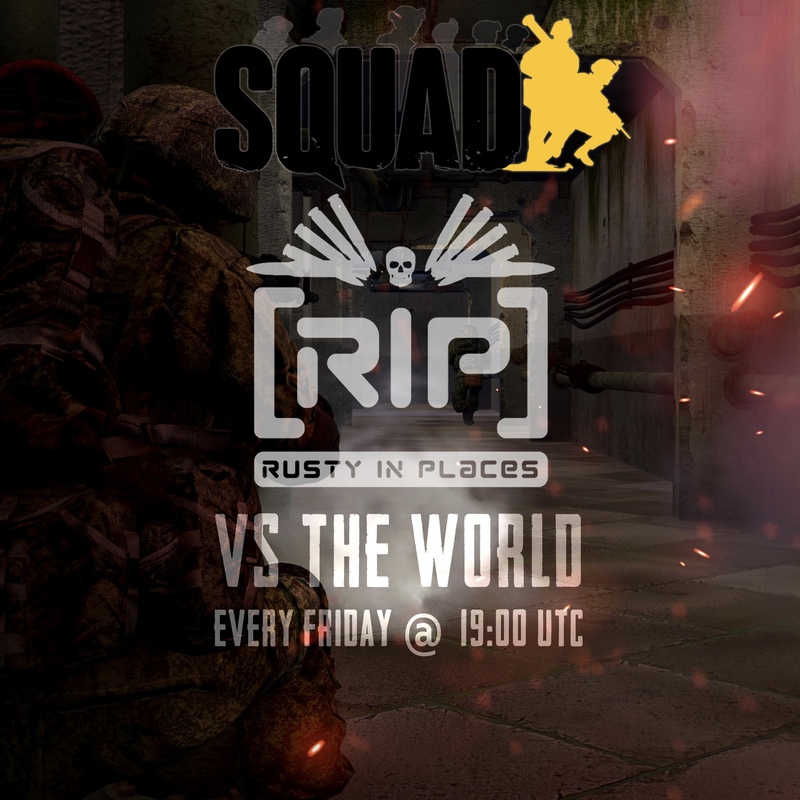 Enjoy several hours of non-stop v11 goodness with [RIP] Rusty In Places! Friday is still RIP vs World. Come and join the party. Get your drinks ready. If you think you’re hard enough!! 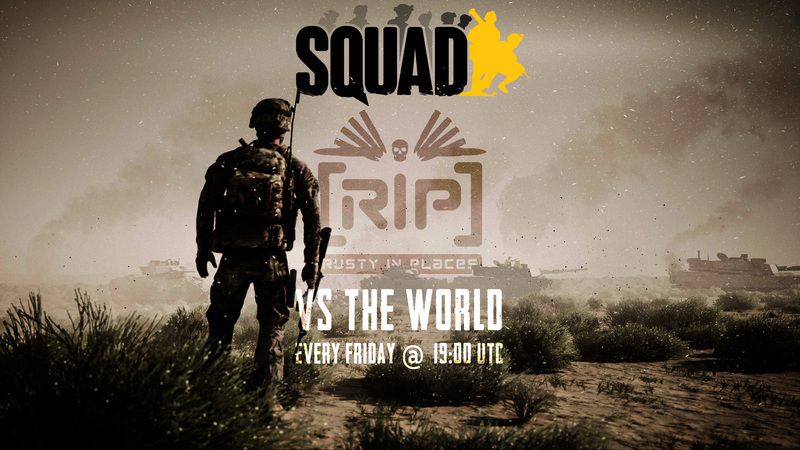 Join us for this weeks RIP vs. the World! Come have a couple of drinks and a well earned wind down after another long week! Get yourselves along, bring your m8, grabs your beers and lets do this. Could even play drinking games, if RIP lose a FOB r Vec r the round we will finish our Drink? It’s Friday!! Let’s all celebrate the start of the weekend and have a drink or two over some tough and memorable battles!! It's Friday again! Get on tonight and celebrate the weekend! Friday has come around yet again, what better way to unwind from the stresses and worries of life than yelling at your monitor at complete strangers to rally together to overthrow a common enemy! Well, we think it’s a good idea anyway. 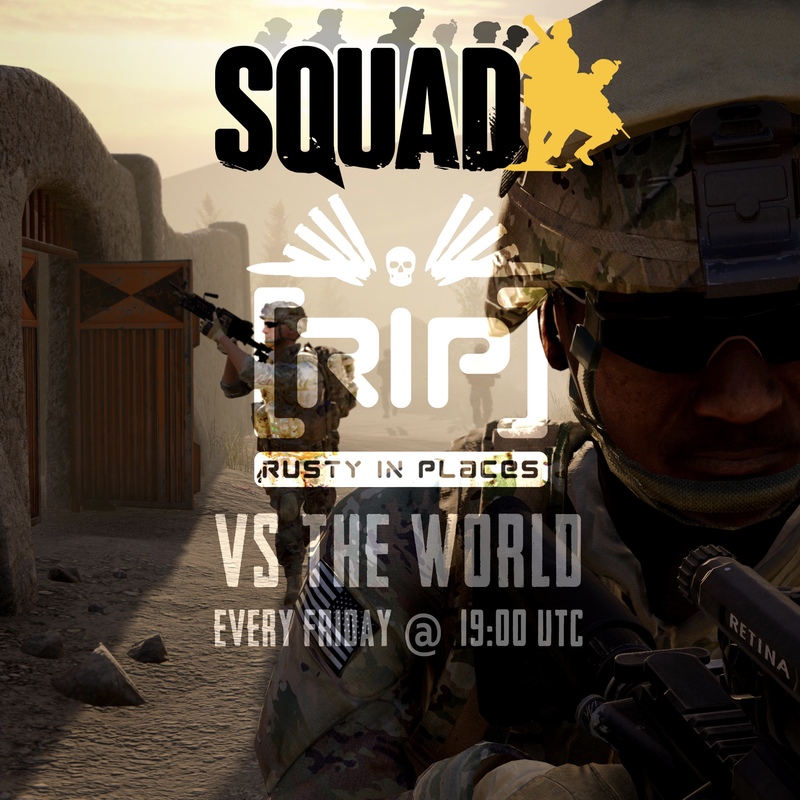 Come join us on our public server for [RIP] Vs the World. Event starts at 19:00utc. Well played Smee, it was a tough fight for sure. We had around 100 tickets left when we got to the final flags, but your team managed to neutralise our attack FOB’s and we had our logi’s either disabled or scattered around the battlefield. We broke like waves upon rocks on the solid defence on that last cap. Well played everyone. Didn't record it mate, know what it's like. Shame had some cracking bits. Your stryker at the end made my scouts day.